Do you feel like you never have enough time to do it all and still take care of clients? Believe me, you’re not alone. In fact, if you’re like most small business owners and entrepreneurs, you’re spending more time on operations, indirect sales related tasks, and marketing than you are working with clients and generating revenue. 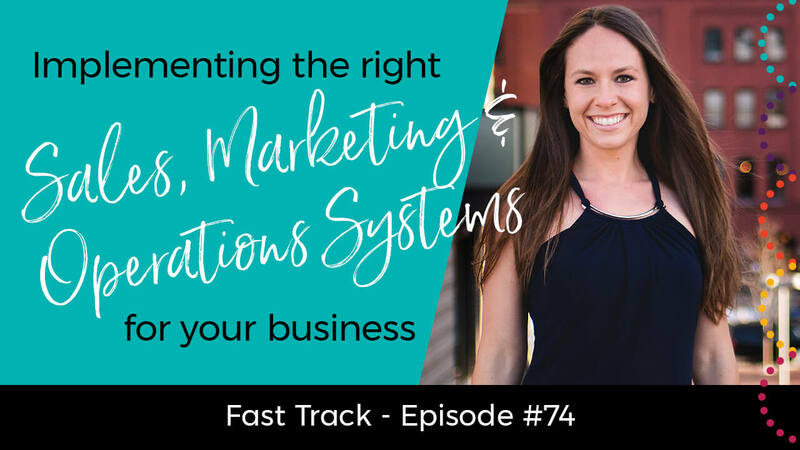 By implementing the right sales, operations, and online marketing systems for supporting your business though, you can free up your time to do more of what you want to do – including more client work and boosting your income! In the video below, I share with you how creating systems for regular business tasks will do this for you. The key is to document the tasks you perform all the time and, once you have those things in place, you can delegate that mundane work to an assistant or VA. Of course, doing this will free you up to develop new products or services, work with more clients, and generate more income. With these systems in place, you will also be able to focus on being a leader, rather than a manager. By delegating your operations and other tasks in a clearly defined way, you will enable your team to work without having to oversee everything they’re doing. While they become more engaged, you will be able to up-level your own game and be the leader they need. This includes allowing them the freedom to take responsibility for the work you’ve asked them to do; to “own their role” and be fully productive in their own right. With this type of collaborative effort, you will build a team that you can depend upon, without having to spend time micro-managing elementary business tasks. With your systems in place and your team performing these tasks for you, you can begin to put your energy directly into sales, acquiring new clients, building relationships and focusing on fulfillment. This is the key to being an effective leader, growing your business, and reaching your business goals. Share this post with others so they can get the inside scoop on implementing the right systems in their business. Simply click the social media sharing buttons below to impact some lives now! !